Rebecca is on vacation today, but I decided I would still post my thankfulness. You can click here if you'd like to visit her blog (which I recommend). There is just no link-up this week. * a beautiful blue sky today. It's a little cool (which I love) but the skies are so blue and it's much appreciated after several days of grey. * my sweet grandson wearing the hat I made for him. * just one more day of work after today before I'm on vacation. One thing that surprises me is that I am actually 60 years old now. Who would've thought? Another thing is that after 41 years, I'm still working at the placed I started working when I was 19. My 19 year old self would have never dreamed I would stay this long. I don't know that it's famous, but at least I've heard of the author, although, I've never read the book. I think I'd like to though. I need to put it on my wish list at the library. It's called "The Frontiersmen" by Allan Eckert. No, I haven't started shopping yet for Christmas. I'll probably shop some while I'm on vacation next month and then the rest I'll probably do online (which is my favorite way to shop). I have never lived in Tennessee, but have often vacationed there. I hope to go back many more times in my lifetime. I have been to The Great Smoky Mountain National Park, Elvis's Graceland, Dollywood, Oak Ridge American Museum of Science and Energy, I've been to Knoxville, but I'm not sure I've been to Downtown Knoxville. The good Lord willing, I will be here this time next week. 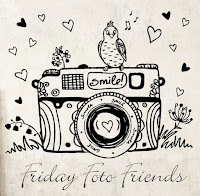 It's time for Friday Foto Friends where we post pictures from our week. Click the button above if you'd like to link up. Here are a couple of random pictures from my week. Nothing spectacular, but I love taking photos with my phone. My grandson. Mommy took his picture in his new outfit. and sent it to me. Doesn't he look proud. My grandson's mommy on her way to work I think. This is my oldest daughter just after getting a fresh haircut. These are not spectacular pictures as I said above, however the subject matter of the last three are very spectacular. I love them to pieces. I love video chat time with my grandson and his momma. He was eating last night while we talked. I'm listening to this audobook from the Library. It is excellent and getting me in the Christmas spirit. I've listened to several of her books and just found this one. I'm going to have to see if she has some more. She's the one who wrote The Christmas Shoes. Love her books. Love it when Lucy sacks out with me. I love making these scripture photos on the YouVersion Bible app. I am so thankful for the many things and people God has blessed me with. How about you? What are you thankful for this week? 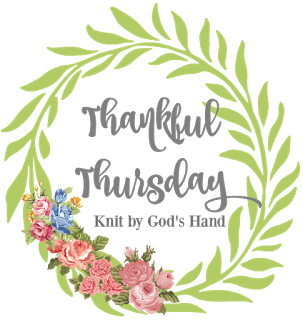 You can click the button at the top of the page if you'd like to join in with Rebecca Jo at Knit By God's Hand. * Video chats with Colton this week. Last night he actually smiled and waved and clapped for me. So fun!! * Walks with my puppy. She wears me out pulling and stuff, but she loves it so much and that makes me happy and thankful. * Watching TV with hubby and crocheting, loom-knitting, and working puzzles. * A really good nights sleep last night. * Walked a 5K on Saturday practicing for the upcoming Great Pumpkin Run. So thankful to be able to do this because this time last year there would have been no way. * Shopping with my sister Saturday morning. It's been awhile and it was really fun. * 3 day weekend because of Columbus Day on Monday. Loved it. * So thankful for the things I am learning about the Armor of God in our Bible Study. 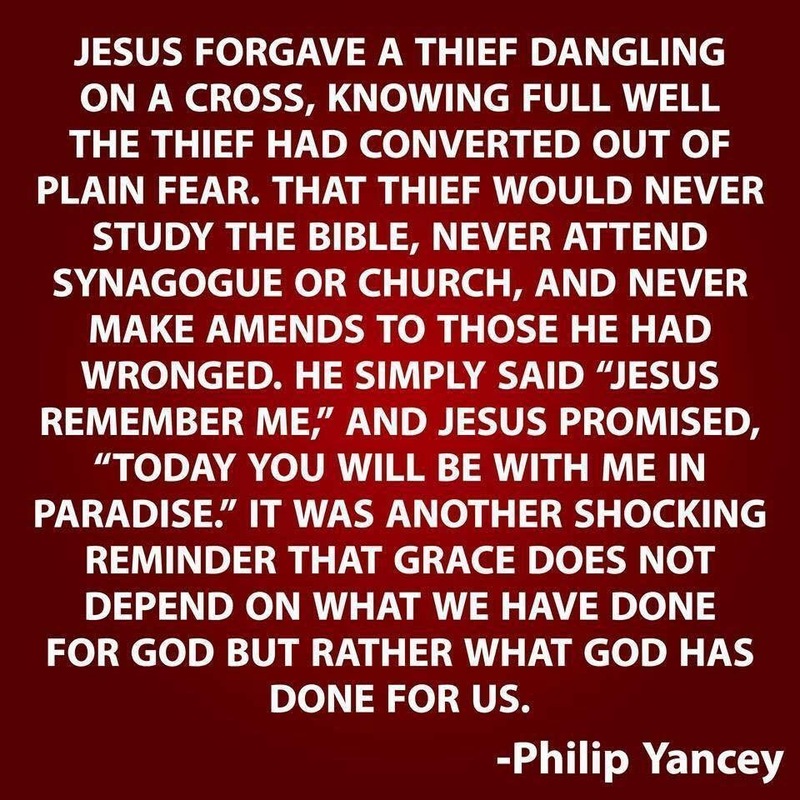 We are so blessed. So what are you thankful for this week? Click the button at the top if you want to link up. It's time for the Wednesday Hodgepodge. In fact, I'm running rather late. Just click the button above if you'd like to participate. I'm probably around a 3 or 4. Good thing I can read a map or following GPS and I totally love the app called Waze. We keep an Atlas in our vehicle at all times, but I must admit it's been awhile since I've used it. Down south and maybe a little back east because in a little less than 3 weeks hubby and I will be in Myrtle Beach!! Talking probably. Yes, it's probably typical as I didn't have the nickname Chatty Cathy for nothing. However, I really do try to listen well to others. I'm so much more conscious of that than my younger self ever was. Yesterday was "busy." 4. Did your family take regular vacations when you were a kid? Tell us something you remember about a family roadtrip from your own childhood. We took vacations about once a year. Usually around the Christmas holidays and we would go to Florida to visit with my dad's family. I'm not sure whatever made them do it, but packing 5 kids and 2 adults in a station wagon and driving for 2 days! I'm not sure I'd call that vacation. haha But we always had fun and hopefully didn't drive mom and dad too crazy. I really don't have much desire to grow anything. Maybe pineapples because I really love fresh pineapple. Plus it has bromalain in it which is supposed to be really good for joint inflammation and pain. I just learned about this last week, so I'm trying to eat fresh pineapple more often because the medication they have me on, one of it's side affects is joint pain. Hoping it will help. I can't wait to be here in a few weeks. Thanks for visiting and leaving a comment (if you want). If you want to play along, click the button, get the questions and answer on your blog and then link up with Joyce. 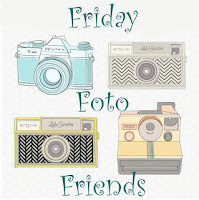 I've been missing from Friday Foto Friends for a few weeks. Thought I'd participate again this week. You can click the button above it you'd like to participate too. Click the above button if you'd like to link up your thankful list. * a husband who took me out on the spur of the moment last Friday night, just because I didn't want to cook or clean-up the kitchen. 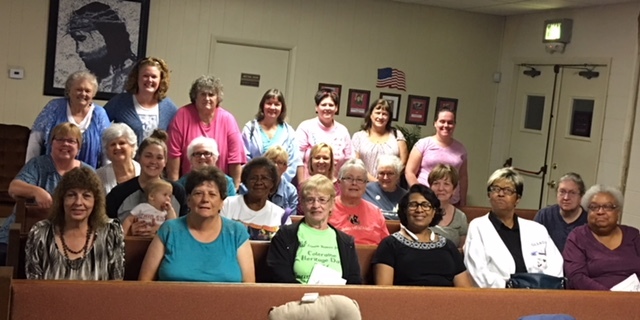 * These wonderful ladies I do Bible Study with on Tuesday nights. * Online grocery shopping and then just pulling in and they load the car...divine!! Click the button above if you'd like to play along. Yes. My parents bought a small farm when I was a freshman in high school and I lived there until I was around 25 or 26 when my sister and I moved to an apartment. I personally never grew pumpkins, but we may have had them in the garden. We did have a garden every year and I helped. Yes, I’ve been on a hayride and I’ve also helped bale hay. Yes, I’ve driven a tractor a couple of times. Dad let me mow the back field with the tractor. That was fun and a bit scary too. No, I’ve never milked a cow although we had a milk cow for a year. Loved the fresh milk. I did sometimes feed the cows, pigs and other animals. But actually my dad did most of it. 2. What's something younger you would like about you now? I think my younger self would like to know that I am very happy and very content with my life at this age. 3. What are three things you'd like to do more often? Three things you'd like to do less often? 4. What's on your nachos? 5. What's the most random thing in your purse or wallet? Does it need to stay there? My husband’s reading glasses. Yes, so he can read the menus in restaurants or anything else he may need to when we are out. It keeps him from having to carry them. Since I usually have my purse it just makes it easier. A friend made ham salad sandwiches for our Bible Study group last night and she packed extra for me to take home because she knows I love them so much. Makes for an excellent lunch as I'm doing the Hodgepodge. Thanks Jan!! !